This week, we started test three concepts. First we wanted to see what we might do looking up or down the stairwell. We used a piece of fabric to gauge how much material is needed to cover the opening above. The answer was – kind of a lot! That’s us trying to stretch fabric over the opening. We were interested in making a floating form or doing something with mirrors but we worry it’d require too much material. 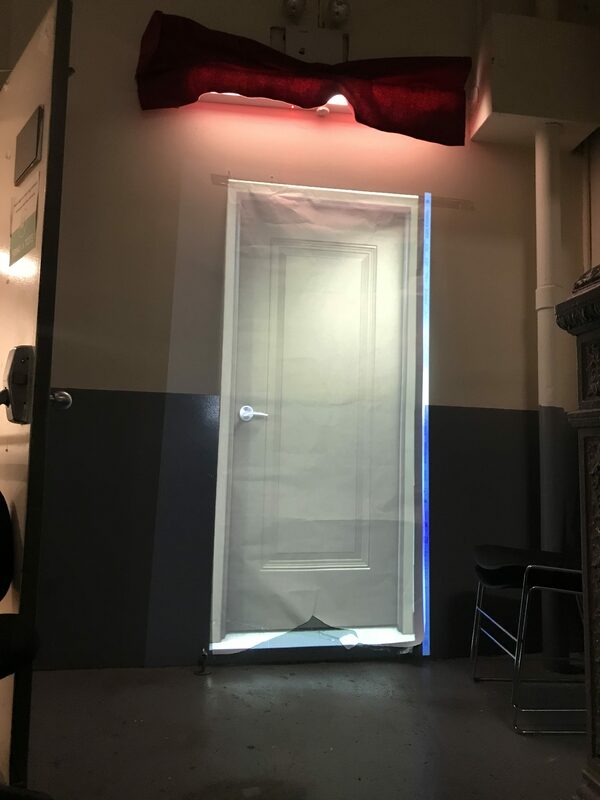 Next up, we wanted to experiment with creating a fake door. 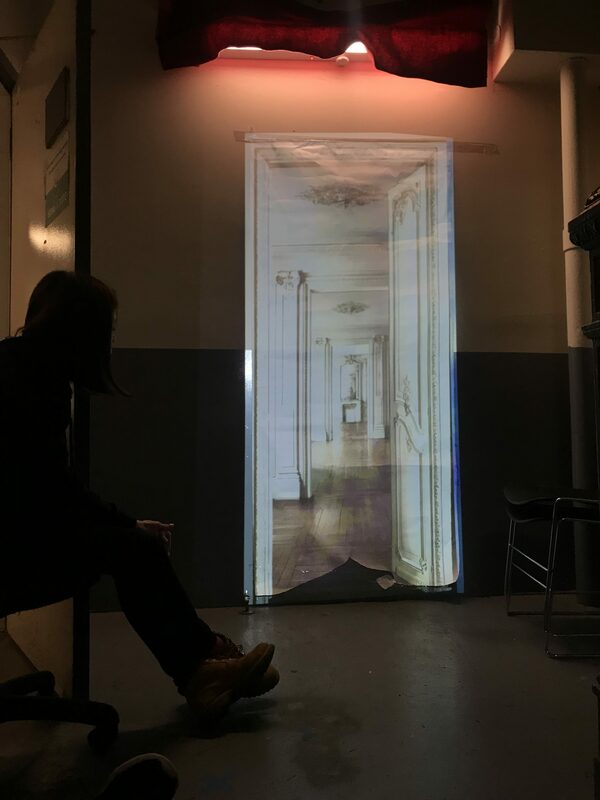 The simplest thing to do was first to see how a projected door look (even though we wanted to go more analog). 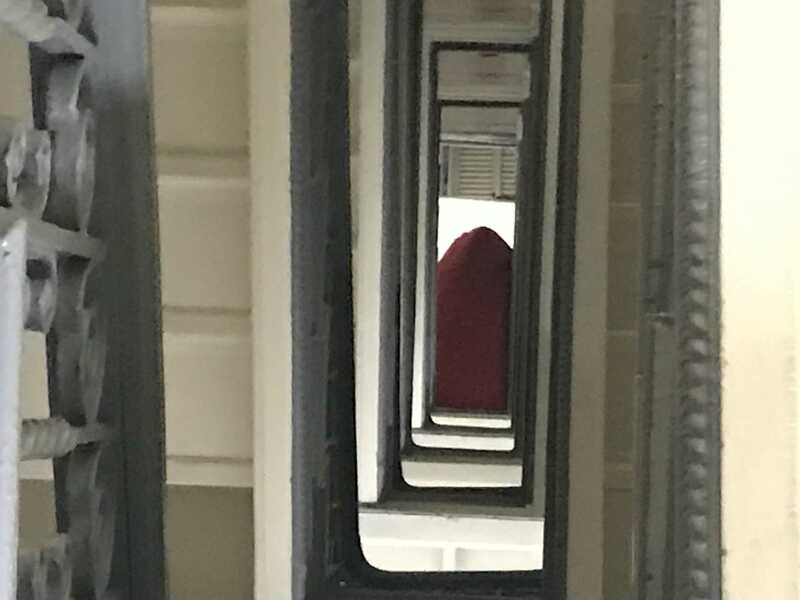 So we tried out a few in the stairwell. It looked pretty good but making the equivalent might be too challenging / too much fabricating. So we went and bought a peephole for a door to see how that would work. We looked through it, holding an iphone up to it, and it looked pretty realistic. We’ll probably need an ipad or a bigger phone to produce a large enough image to cover the whole field of view. So our basic idea now is to get the peephole concept working, perhaps installing it in a frame on a wall to hide the ipad and make it seem like the peephole is going into nothing.